WhatsApp is one of the most popular messenger and chat applications on Google Play and App Store. If you would like to have this application to your phone, you can download it through official website and official OS application stores. Application is providing many good features but it doesn’t have any video call feature yet. Since many application provides video calling, people also want to use video call on WhatsApp. However it seems developers don’t want to release any video call application until they will create a perfect one. So when will they release the video call for WhatsApp? There are various rumors about video call feature of WhatsApp on many websites. However developers of the application didn’t make any statement about video call yet. There is not information on video call feature on blog of WhatsApp and official Twitter account. However we keep watching official accounts of WhatsApp for you. If they make any announce for video call, we are going to let you know instantly about that in this page. You can keep coming here if you want to know if Video Call has been released. You can also get more information about the application on WhatsApp blog. WhatsApp has already released video call for Android and iOS devices at recent years. So this page is outdated. If you would like to get the most recent news about WhatsApp, you can follow our blog. If you have any questions regarding WhatsApp, please let us know. Does WhatsApp Video Call Work in Dubai? 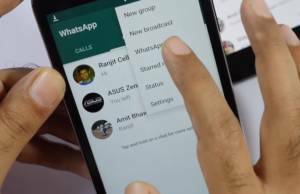 Does WhatsApp Charge for International Calls? If you have any questions regarding video calls on WhatsApp, please feel free to ask us.